Most Estate Agents only see the obvious defects. Estate agents in general are reluctant to give potential buyers information regarding any home inspection, even though leading estate agency principals have agreed that a home inspection would be of benefit to all parties. 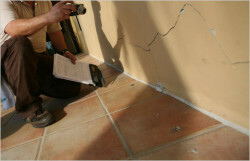 Estate agents are trained to sell properties, not to inspect them in detail. Agents see and mostly report on obvious visual defects. No-one would expect an estate agent to climb into the roof space or onto the roof, to inspect the condition of the roof beams and roof structure or the condition of the roof tiles. We would suggest that all agents inform the buyer that a full professional home inspection of the property would be in the interest of all parties, to identify potential problems that cannot be obviously seen on a 15 minute viewing of the property. A professional home inspection safeguards the buyer, seller and estate agent from future complaints and at time legal issues in regards to non-disclosure on the condition of the property. We believe estate agents should inform buyers, before any documents are signed, of the services of a professional home inspection. 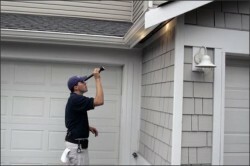 Receive regular updates on the home inspection and property industry straight to you inbox.